We were tasked by Michael Thaibult of ArtRepNYC to create a music video using the album artwork created by illustrator Dan Stiles. The initial goal was to create a video utilizing typography and illustrated elements created by Dan Stiles. 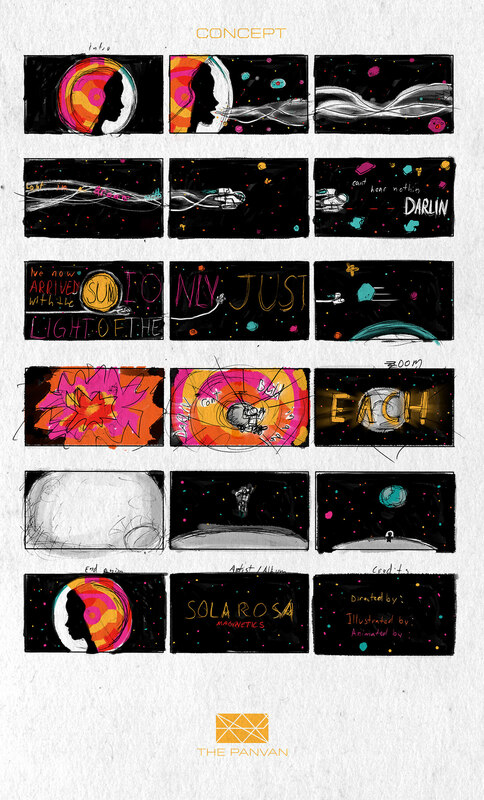 We then came up with a script and storyboards that were heavily influenced by space exploration. In short our pundit is set to explore the psychedelic depths of space as it all goes wrong in one blink of a moment. Developed for Australian based musician Sola Rosa, the ArtRepNYC team reached out to me to design, direct and animate this very colorful and lengthly music video.